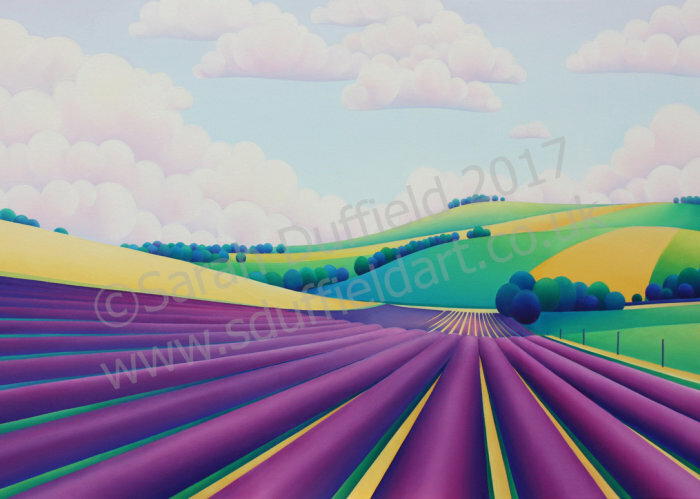 An original oil painting based on "Lordington Lavender" near Chichester, Sussex. This joyful painting was the product of a happy day. My lovely husband took me on a trip to see a Lavender field – he thought I might like the colours. The heavenly scent of the beautiful, violet, tram lines nestled in the English countryside all topped off with tea and cake were a good call. You can almost smell the perfume and hear the bees buzzing.